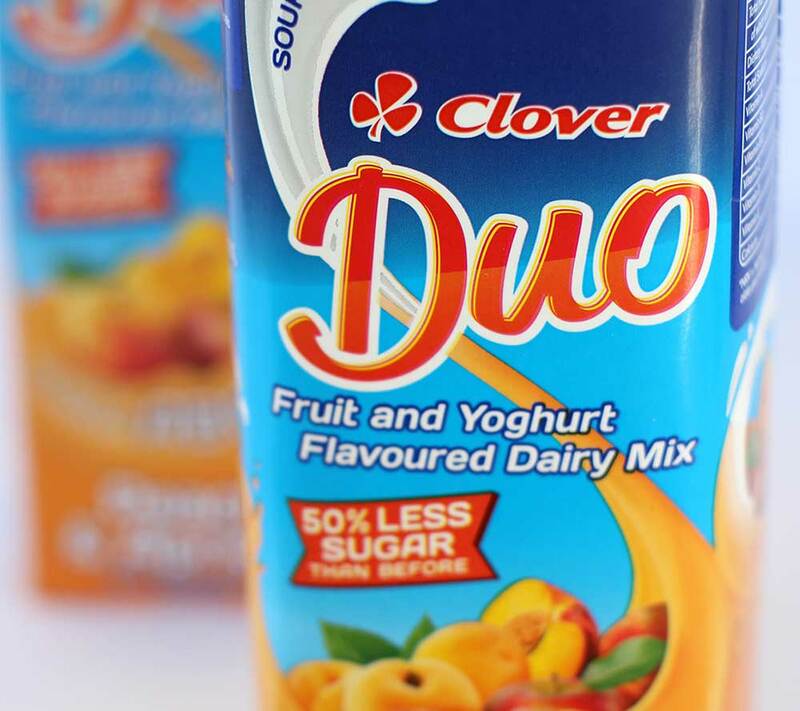 Upgrade and rename Clover Danao, a fruit and yoghurt flavoured dairy mix. 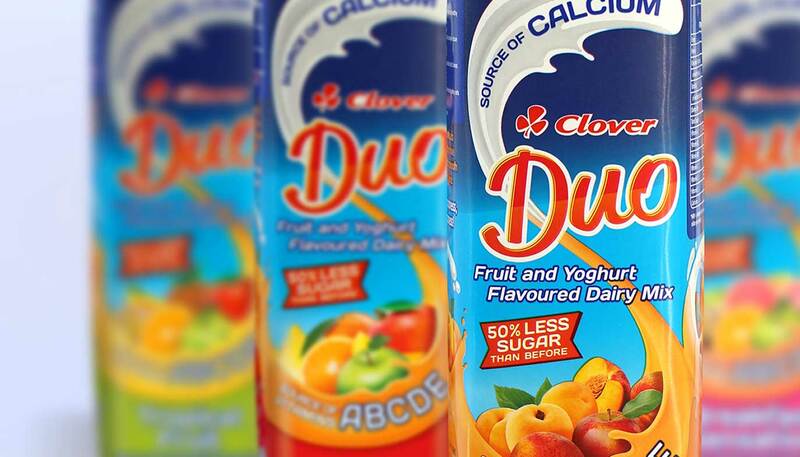 Dairy-fruit brands are gaining in popularity in the South African markets. 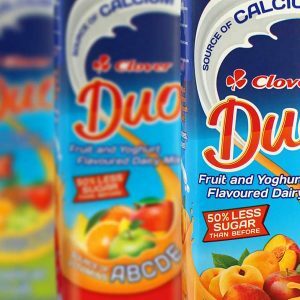 This product offers a much more natural version of a dairy-fruit blend, fortified with 5 vitamins and containing 50% less sugar. Reposition around health benefits and rename it Duo. 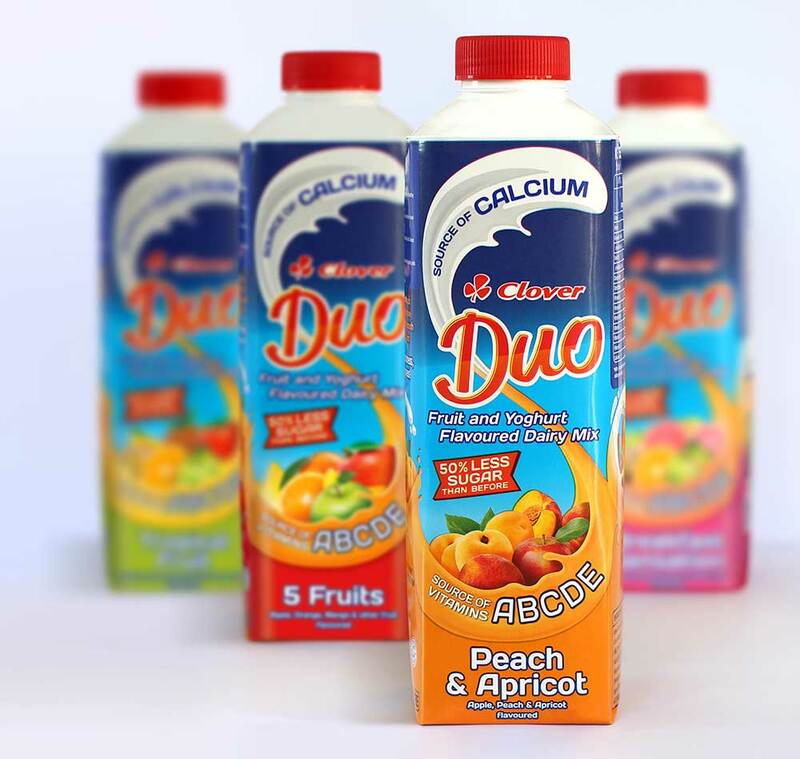 Using reflection as a concept, we created a pour that changes from dairy to fruit juice with all the fruity goodness at the bottom of the pack. 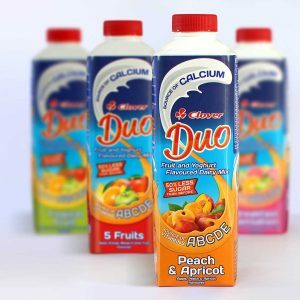 Duo now visually depicts exactly what it is – the goodness of dairy meets the goodness of fruit – in a pack that is visually exciting and full of brand personality. Improved awareness and a broader consumer base.